PS: Make sure you don’t have a comma in your numbers or else it won’t work! 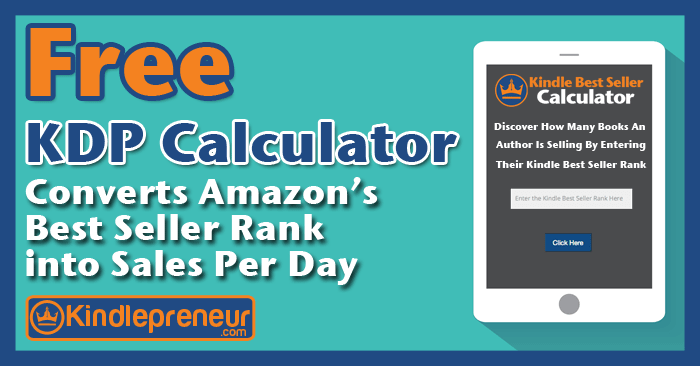 This Kindle Sales Rank Calculator has been created as a free tool for you to use and even put on your own author website. Its intentions are not to undermine Amazon in any way, but to instead help authors understand the connection between Amazon’s Best Sellers Rank number and Kindle ebooks sold per day. Bonus: Want to increase your Book’s rankings on Amazon? 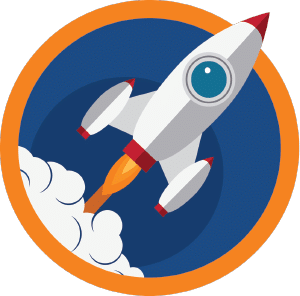 Download my personal guide on increasing your book’s rankings and discoverability on Amazon so you get more sales continuously! Would You Like to Have Your Own Calculator on Your Computer? Plus this Kindle publishing software works on both MAC and PC. KDP Rocket is available now for ONLY $97. We are offering it as a one time fee, but soon it will become a subscription. So lock in that lifetime access, one-time fee now!Find Out more Here! Start by inserting the Amazon Bestselling rank number in the plugin above. Once you have it typed in, hit the button above “Click Here.” Within milliseconds, you will have a neatly calculated “Kindle Sales Per Day” Number. Knowing the numbers is great, but knowing how to use them or when to use them can really take you to the next level. 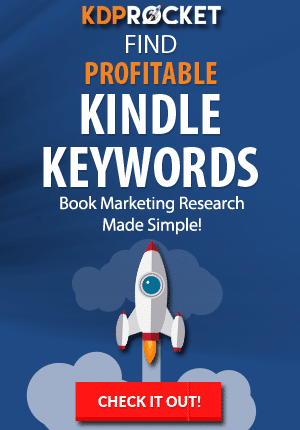 As you do your research to find effective keywords for your ebook’s sales page, this calculator can help to tell you if the results in a keyword search are profitable. You don’t want to target a Keyword phrase or Category that isn’t making sales. Sadly we operate in a self-publishing world where many marketers make false claims. I am sure we have all heard it… “yeah, I make 6 figures with my books every month” or something along those lines. If that is the case, go ahead and plug their ebook’s rank number into the plugin and see what comes up. Be careful though, the rank number changes frequently. Just being able to see the target “books per day” can be a real difference maker and help an author set up their publishing goals. Instead of being a mythical number, you can now have a better understanding of what to expect and what is attainable. 79 Free Book Promotion Sites To Advertise Your Ebook On – Would you like a list of the top ebook promotion sites, both free and paid. Well, we did the research and found some top-notch sites out there that are waiting to submit your book to their fans. MasterClass Review: There are a lot of great courses on writing, or books…however, no other writing course is taught by some of the largest names in the industry like MasterClass does. You could learn from James Patterson, Judy Blume, Margaret Atwood and more. So, be sure to check out MasterClass and see if it is worth it and how it can help with your writing. Book Copyright Page Examples For Your EBook – Funny how your copyright page might be the most important page you could have in your book. Is your copyright page setup the right way and is protecting your rights? Or is it useless because you don’t have the necessary legal jargon that will save your hide? Find out there. How To Choose A Pen Name – Don’t want to use your own name? No problem. But don’t just randomly select your pen name either. Instead, there are some marketing tactics that really help. Find out here. ProWritingAid Review: I used to use Grammarly, but now, I’m a ProWritingAid fan. It’s just as powerful as Grammarly for doing grammar checks and helping to improve your writing through thorough analysis, however, the price is where I fell in love. You can even get a huge 40% ProWritingAid discount. Book Title Generators – Coming up with the perfect book title can be maddening. Yet having a catchy title is crucial to getting noticed (and remembered). Thankfully, there are awesome tools called Book Title Generators that help you find the right title for your book. 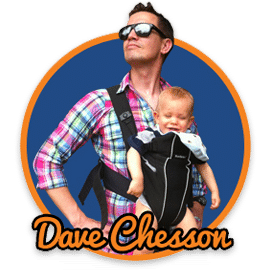 Aweber Vs Mailchimp Vs GetResponse Review – You’ll constantly hear self-publishers talk about the importance of an email list…and they aren’t lying. But find out which email service is the best: Aweber, MailChimp, or GetResponse. Grammarly Review: Grammarly is a grammar checker on steroids. It doesn’t replace a book editor, but it can be a valuable tool to help you correct your writing as you go, and ensure that your editor doesn’t have as many headaches. But how does it compare to Word’s checker? – Learn how to set up your Limited Liability Corporations for your books so that your personal assets aren’t liable and your self-publishing becomes more stable…not to mention the tax incentives. Scrivener Review – Learn about my favorite writing software and how I like to use it. See how it compares to word and even check out a list of scrivener coupons which includes discounts up to 30% off at one of the best scrivener blogs on the market, Scrivenerville. List of Best Software for Writing – Check out the best book writing software out there to include Scrivener, Word, Ulysses, Ywriter and more. See them side by side and check out how they are different from them and which will help you to write your book. Top Scifi Books – Learn about which books are the best science fiction books on the market. Through this, you can see which are the best sci-fi military books, or even what the best post-apocalyptic books are on the market. Disclaimer: The KDP sales numbers are an estimate based on research and other authors recorded numbers. Amazon does not directly release this information. And as any Kindlepreneur product, we are not affiliated with Amazon or Kindle.